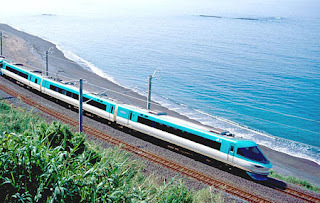 I have been to Kumano Kodo, which is the "Sacred Sites and Pilgrimage Routes in the Kii Mountain Range". It has been registered collectively as a UNESCO World Heritage Site. Such a meditative place around the old trail! and three pilgrimage routes linking the sites-"Kumano Sankeimichi (Kumano Kodo)", "Omine Okugake-michi" and "Koyasan Choishi-michi". 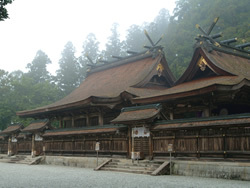 This is Kumano Hongu Shrine located in the middle of Kii mountain range. Though taking about half day from Osaka, you will have a gorgeous train trip to the area if you hold a JR pass with Ocean-viewing through the window going along the coast of Ocean Pacific. Please ask the staff if you are interested in it. There are also nice outdoor hot springs.